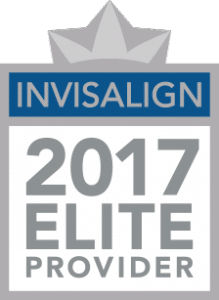 Serving the Medford and Port Jefferson NY areas on Long Island – Coolsmiles Orthodontics offers one on one personalized care with braces and Invisalign for children, teens, and adults. Your smile says a lot about you. At Coolsmiles, Dr. David Amram, Dr. Justin Ohnigian, and the Coolsmiles Team want to help make sure that your smile is making the right statements about you! When you’re ready to take the next step toward orthodontic treatment, please call, text or email us for your FREE SMILE EXAM and get ready to start smiling! Choosing the right orthodontist is a very important decision. At Coolsmiles, we offer a complimentary new patient consultation to help you make the right decision when seeking braces or Invisalign for yourself or a member of your family. Orthodontics is a long term relationship that involves very personal interaction. Level of clinical care and experience, use of advanced technology as well as communication style should be considered. It’s very simple: Dr. Amram and Dr. Ohnigian are exceptional orthodontists. They have been trained at our finest dental schools. Their ability to listen to you and/or your child is indeed a rarity in today’s health care environment. However, it is their gentleness during treatment that we hear about the most.